The program, based in Melbourne, runs on a semesterly basis with weekly rehearsals, and culminates in a gig at a local music venue. We provide our participants with professional female musicians as mentors, who lead rehearsals and guide participants through learning and arranging covers, workshopping original songs and developing live performance skills. Weekly rehearsals with our mentors run every Sunday (rehearsal times vary each Semester) in East Brunswick. The rehearsals align with school terms; there are no rehearsals on the mid semester holidays. Each Semester also includes a guest artist workshop. 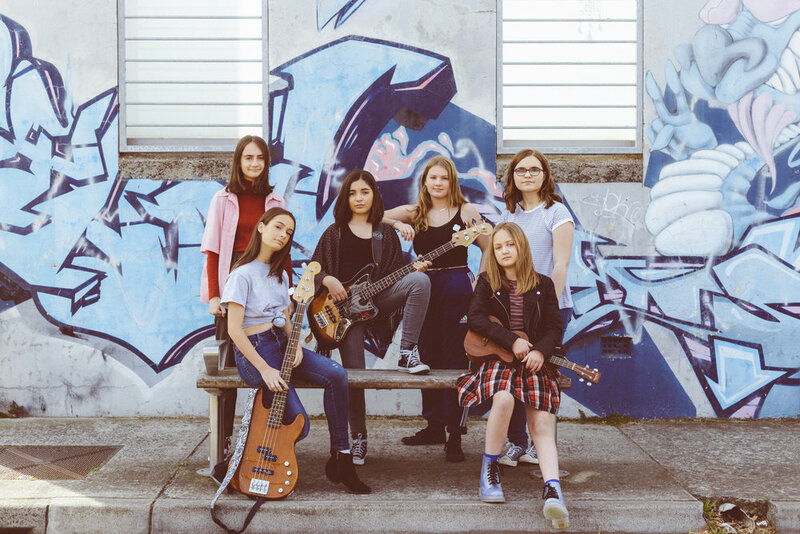 In the past, these workshops have been held by amazing musicians Kimbra, Ella Thompson (GL, Dorsal Fins), Jude Perl, Shannon Barnett, Tamara Murphy, and Xani Kolac (The Twoks).